One-of-a-kind, custom-designed, architecturally interesting home and designed by Tivedar Balog is now available with immediate occupancy. 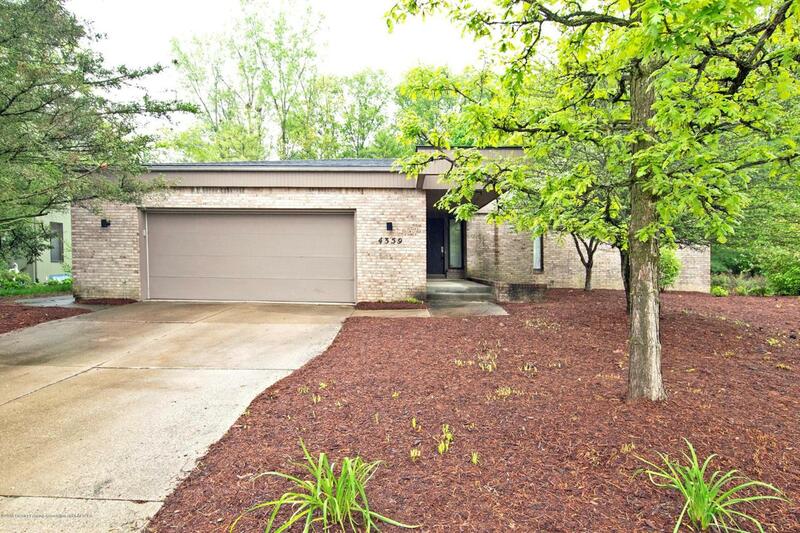 This private ranch is on a cul-de-sac street with fantastic neighborhood amenities like a private heated swimming pool, basketball and tennis courts for the homeowners only. The brick and rough sawn exterior also has a huge Trex deck in the rear accessed by sliding doors for relaxing and private outdoor space. Enter the home and you will note the updated maple flooring which runs throughout the Great Room, hallway, laundry, and kitchen. The open floor plan offers many nice options, with a wall of shelving in the living room area and sidebar for serving in the dining area with cabinets below. 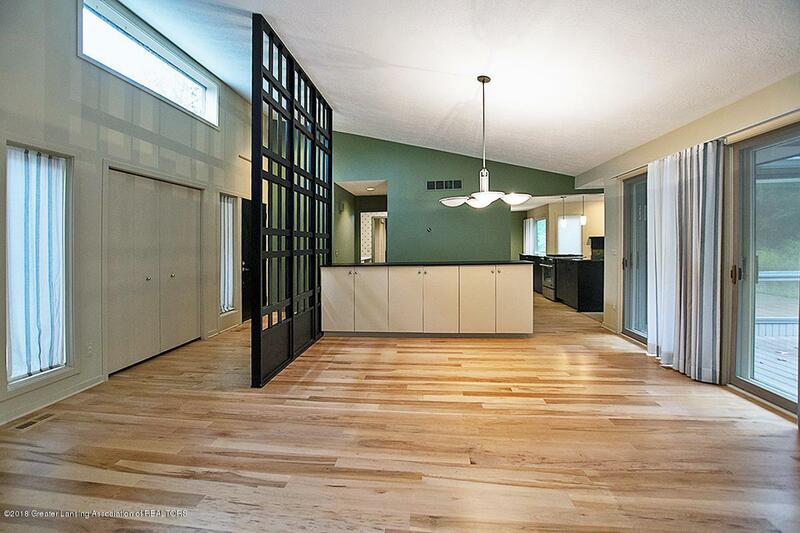 You will also find vaulted ceilings.There are 4 sliders to the deck offering plenty of natural lighting. All the windows with shades are bottom-up and neutral. The front foyer and Great Room open with dual exit options; one to the hallway with the half bath and one to the kitchen and family room. The updated half bath with maple flooring has a stainless undermount sink, granite counter, and pendant lighting. The large first floor laundry has white cabinetry, folding counter, front loading machines and a handy spot for sorting bins. The kitchen has been updated with granite counters and features black cabinetry, tile backsplash and Sub-zero refrigerator freezer with a Jennair range on the center island. 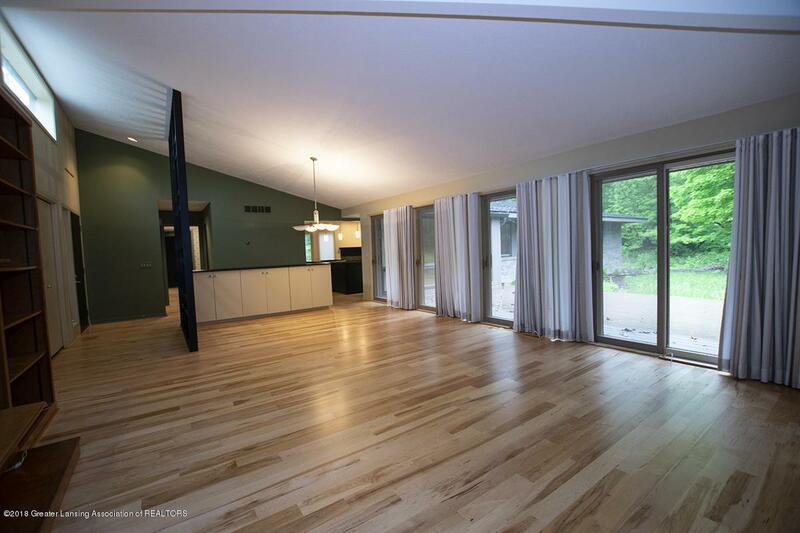 The kitchen is open to the family room with gas fireplace and a wall of windows facing the deck. This is a great home for entertaining! There is also an eating area off the kitchen on maple flooring plus a side door to the yard. There are 3 bedrooms in the wing with the 2 smaller bedrooms having built-in desks. 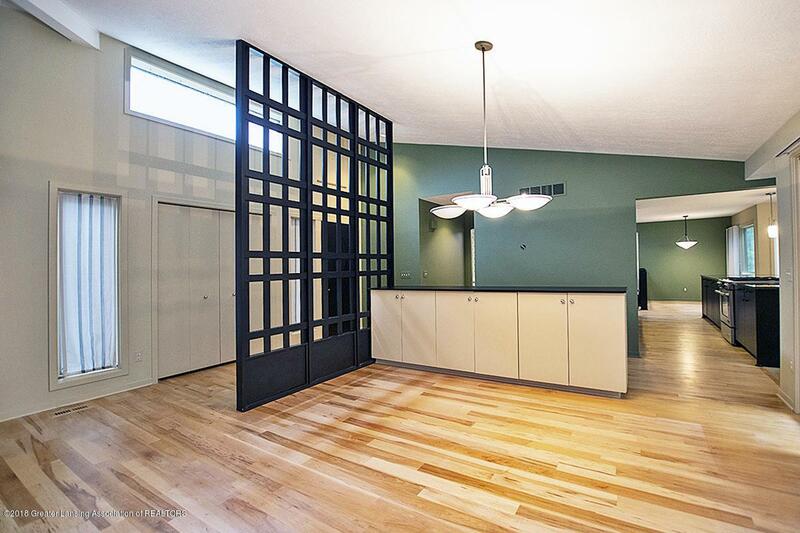 The spacious master features rich, American walnut flooring and a huge walk-in closet. The master bath offers a whirlpool tub, separate shower, double vanities, linen closet and a skylight. The main bath in the hall has a granite counter, and a separate lavatory and tub/shower room. You will also find a security system plenty of basement storage and a freezer that remains. Association Fee $600/year. Check out the personal property website at www.4359heartwood.isforsale.com. Hurry! Listing provided courtesy of Flanders of Berkshire Hathaway Homeservices Tomie Raines.